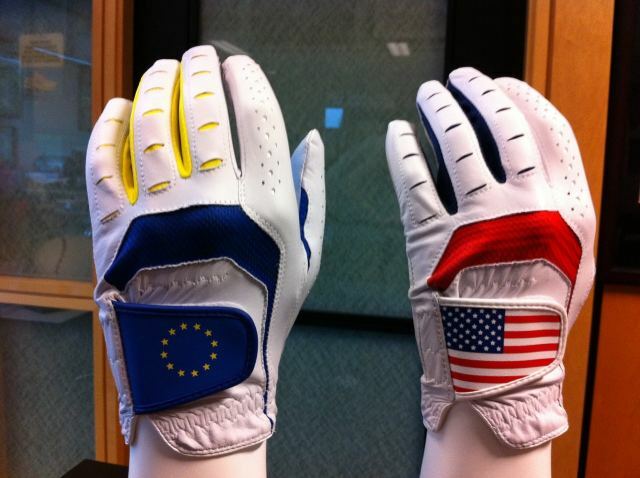 When @bubbawatson scores points at the Ryder Cup, you save money on Travis Mathew Apparel. 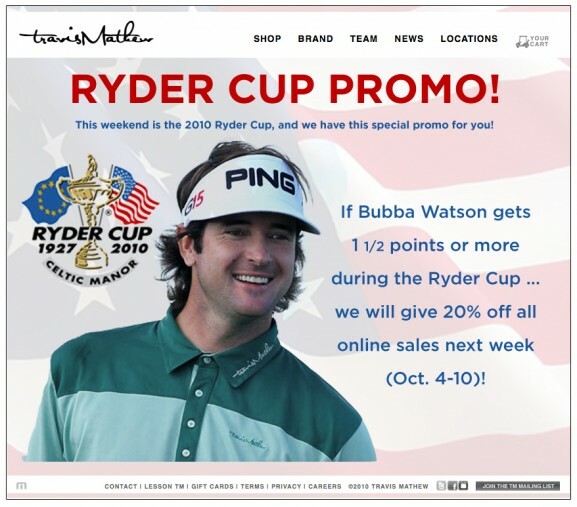 You can even put it towards a Limited Edition Bubba Watson Ryder Cup Supporter t-shirt. Although they are tad pricey at $29.50. If your a Kikkor Golf Fan and looking for some deals. Pick the winning team at the 2010 Ryder Cup and save 40% OFF your order at www.kikkor.com, plus if you pick the exact team totals, your order will be completely FREE! All you have to do is indicate your predicted team totals in the 'Order Notes' section during checkout. There`s also a couple of great giveaways right now on Twitter involving Nike Golf and Puma Golf. @PUMAGolf used Twitter Wednesday to give away signed Rickie Fowler items. Look for more today. Also don`t forget today is the last day of my Rickie is My Homeboy t-shirt Giveaway.